Today Logitech announced its G533 Wireless Gaming Headset. The new Logitech Wireless Gaming Headset comes with Pro-G audio drivers and DTS Headphone:X 7.1 surround sound. The Logitech G533 also features a long battery life. Advanced Audio Performance: The U.S. patent-pending advanced Pro-G audio drivers are made with hybrid mesh materials that deliver audio performance previously only found in high-end audiophile headphones. Highly realistic DTS Headphone:X surround sound technology accurately replicates 7.1 speaker placement and audio positioning. Superior Wireless Technology: Featuring advanced lossless digital audio transmission, the Logitech G533 delivers wireless convenience and incredible high-fidelity sound at a range of up to 15 meters. High-Performance Design: It features a lightweight over-the-ear design, with sports mesh ear pads that are breathable and can be easily removed for cleaning. Smart Mute and Microphone: The Logitech G533 integrates the popular auto mute feature for the foldable mic, and also improves on noise canceling and EQ tuning to provide the clearest of audio for competitive gaming chat and communications. Battery Life: Rechargeable, replaceable batteries power the headset for up to 15 hours non-stop on a single charge, making it the perfect wireless headset for marathon gaming sessions. 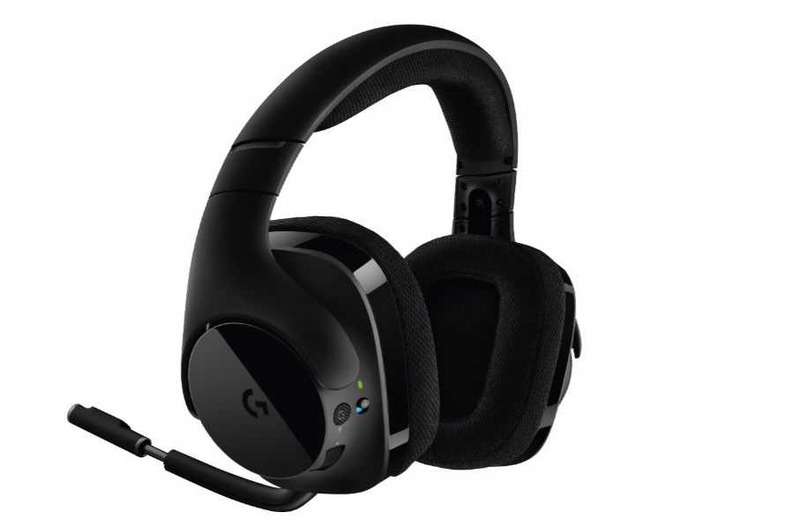 Fine-Tune Controls: The Logitech G533 Wireless Gaming Headset features a noise-cancelling microphone on a folding, extendable boom for crystal-clear voice chat and communications. An easy-to-reach volume control roller and mic mute button on the left earcup makes it simple to adjust audio settings on the fly and to automatically mute the microphone, just fold it up. The Logitech’s new Gaming Headset will be available in January 2017 for $149.99.